I’m delighted to be able to release the full video of the Ben Craven and The Section YMP event. There’s brilliant prog rock, lots of chat and some fun moments to enjoy. Many thanks to Ben for all the editing – and to the whole band for their generosity. Enjoy! 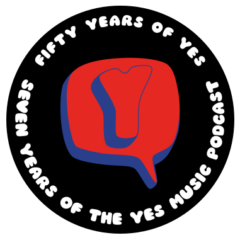 What is your favourite Yes YouTube clip? Let us know by filling in the form below. I will then feature your choice in a YouTube playlist and mention it in a forthcoming episode of the podcast.